Andrew and Brooke found themselves living apart due to economic hardship, addiction, and lack of resources. Andrew was 27 years old, 2 years sober, and on probation. He was working minimal hours at a local restaurant and living at home with his parents. Brooke was working in a local restaurant and living in a recovery house with her 2-year-old son, Brayden. Brooke was also pregnant with Andrew’s child. They reached out to the Bucks County Opportunity Council, Inc. (BCOC), for support and guidance, expressing an eagerness to make positive changes in their life. The family enrolled in BCOC’s Economic Self-Sufficiency Program. Andrew believed strongly that training was the first step toward economic stability. He tested for the Carpenter’s Union in early 2016, and though he wasn’t formally accepted until April of 2017, he never wavered from his goal. Andrew is mechanically inclined and loves hands-on learning. He recently completed his first year of Apprenticeship and is making over $20.00 per hour! Brooke maintained her job at the restaurant right up until the birth of their daughter, Kylie. Two months later, Brooke obtained employment as a Mortgage Adjustor. However, after a year of employment, the company filed for bankruptcy leaving Brooke suddenly unemployed. It took Brooke only two short weeks to obtain new employment as a U.S. Department of Housing and Urban Development (HUD) Representative Consultant. While in the Economic Self-Sufficiency Program, BCOC provided the support needed to stabilize the family while they were working on their goals. Specifically, BCOC assisted with a security deposit on an apartment, provided private transportation through the Wheelz to Work car donation program, and matched the family with a community donor through the year round Adopt-A-Family Program. The Adopt-A-Family Program provided the family with basic household necessities and “extras” like birthday gifts for the kids. BCOC is proud to nominate Andrew and Brooke for the CAAP self-sufficiency award. They portray strength, determination and compassion, while remaining strong advocates for people struggling with drug addiction. Andrew and Brooke often share their story at meetings, offering sponsorship to others.They believe in giving back to the community and fighting to end the opioid epidemic. Andrew and Brooke married in October of 2017, and Andrew is in the process of adopting Brayden. 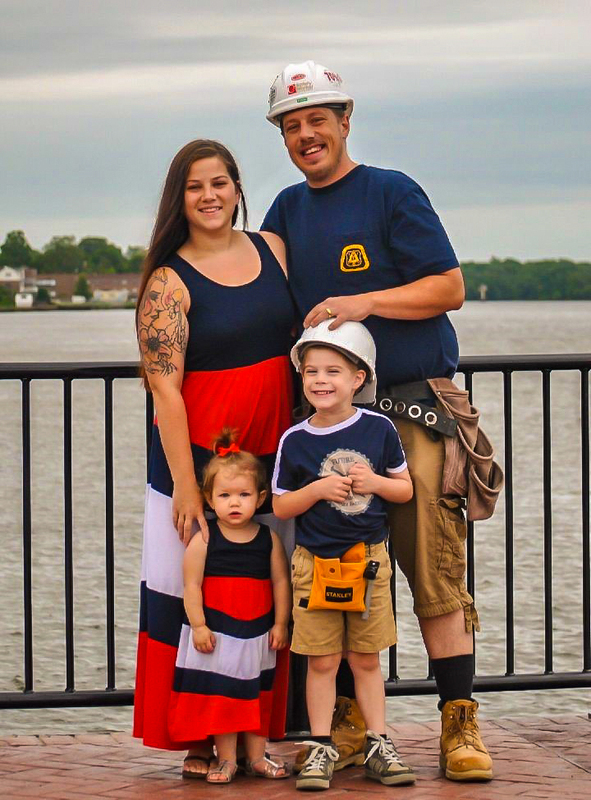 Their next goal is homeownership– they are planning to buy a house that Andrew can renovate and make a house of their own.